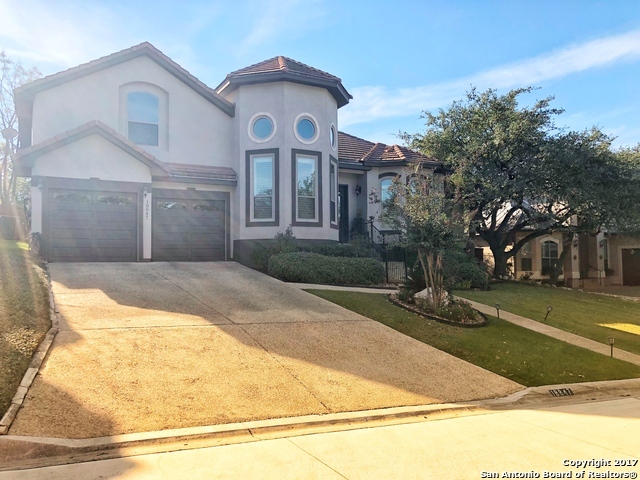 All LA CIERRA AT SONTERRA homes currently listed for sale in San Antonio as of 04/26/2019 are shown below. You can change the search criteria at any time by pressing the 'Change Search' button below. "Walk it virtually pics don't do it justice https://my.matterport.com/show/?m=3La9LeJo88d Open split floor plan, dedicated office, covered outdoor patio, master suite with out door access down, all bedrooms have a bath, three car garage, lush landscape with mature trees, high ceilings, formal dinning, game room, huge master closet with additional cedar closet. 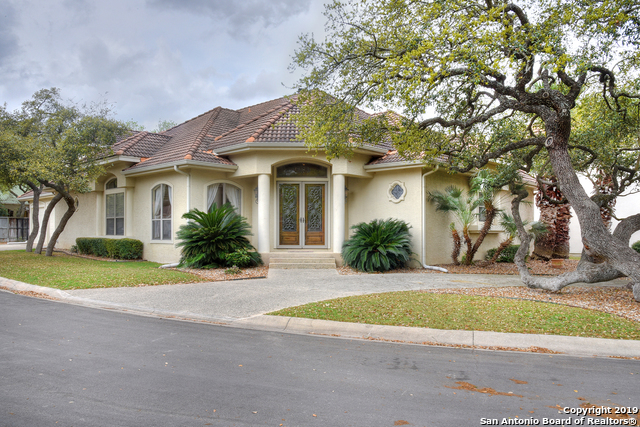 Tile roof"
"Beautiful custom 3/3/3 with fabulous location and neighborhood golf cart access to Sonterra Country Club. Spacious open floor plan with lots of light, high ceilings and detail throughout. Large accessible kitchen with hard surface counters and double ovens. Perfect plan for entertaining, wonderfully placed wet bar. Attractive neutral tile throughout living spaces and kitchen, wood floors in master and separate office. Enjoy 3 large living areas, second story is game room only. Near to shop"
"Stunning Tuscan home by award-winning architect Gustavo Arredondo. Ornamental fountains in and out. Cool stone walls & accents, canterra pillars, wood beams, speaker system & a wooden staircase w/ decorative wrought iron rails. Island kitchen offers granite countertops, ss appliances & Jenn-Air gas stove & grill. Master Suite has a sitting area & granite vanities w/copper sinks. 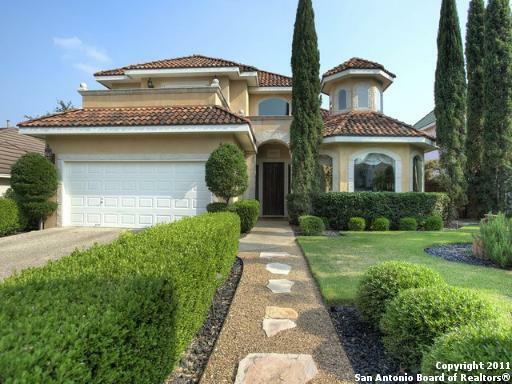 Covered patio, landscaped private yard w/ mature cypress trees. New tile roof as of April 5, 2019."